When Warcraft Developers first started talking about changes coming to PvP in Battle for Azeroth I was excited. The thought of no more PvP servers was music to my ears. The desire of the Dev’s to see world PvP come back to World of Warcraft was promising. Then they dropped the bomb. Server based PvP shards. I had a difficult time trying to figure out why the developers would do this. Nothing settled so I decided to let it toss around in my head for a while and returned to my routines. The interesting thing was I had just found a renewed joy in PvP. Since I had gone Horde back in Cataclysm PvP had quickly lost any joy for me. I never could put my finger on it till I tried Mercenary mode with Wildeheart. My first battle in was an Alterac Valley run and to my shock and joy I was a Night elf. The memories came back fast and the thrill of attacking and defending against Horde soon followed. I found a new refreshed joy in PvP. All I had been missing was the right faction! Part of my routines at the time involved queuing for Ashran. I was farming honour to push my prestige levels higher as there are quite a few rewards that appeal to me like the Prestigious Ivory Courser. I personally really do not like Ashran at all. It has an insanely long queue and when you do get in if the group does not fill you get kicked from the shard after 5 minutes which just gives you barely enough time to solo try for two objectives in a vain grasp for the honour reward. If you are lucky enough to get in with both sides having large enough groups you are confronted with a PvP gameplay model that is seriously nothing more than who can steam roll the other first. If one side has even slightly more coordination and farms the overpowering loot-able traps and power ups they easily become far more powerful than the other team and utterly destroy them. If you are the winning side, in Ashran, you tend to stay together and farm the losing side for as long as you can, usually one to two hours, as it can be days before you get another organized winning team. The whole thing to me is completely soul-destroying. It was during one of these matches that the changes in Battle for Azeroth made sense. The Developers at Blizzard Entertainmentseem to be making a giant world scale Ashran within these new PvP only shards. The system they have created is called War Mode and this, from all we know so far, is how it works. All players on all servers will now default to PvE. You never again have to worry about being ganked no matter what server you are on since no one can attack other players at all in the default open world. If you want to PvP you must go to Stormwind or Orgrimmar only and choose to enable War Mode seperately. Once you leave the city and go into the open world you will be moved to a shard with other people that have enabled this themselves and only they can see you and you them. This does solve the problem of gankers, corpse campers and general harassment in open world that PvP realms know all too well. The sad thing is it solves it with a crude swing of a mighty axe severing off the offending bit without truly attempting to solve the issues with underlying systems. It is not a surprise really. Blizzard is well known for their knee jerk reactions to problems and their overly blunt use of corrective measures. What is it good for?!? When I look at this objectively I only see a segregation of the games populace. I see War Mode as a system they will have to over incentivize to coax people into. One that will most likely be filled with gank squads looking to ruin other players day. I do see the positive side of this for people stuck on PvP only realms as this finally fixes the issues they have had for a long time with being able to play the game in general with out major grief. 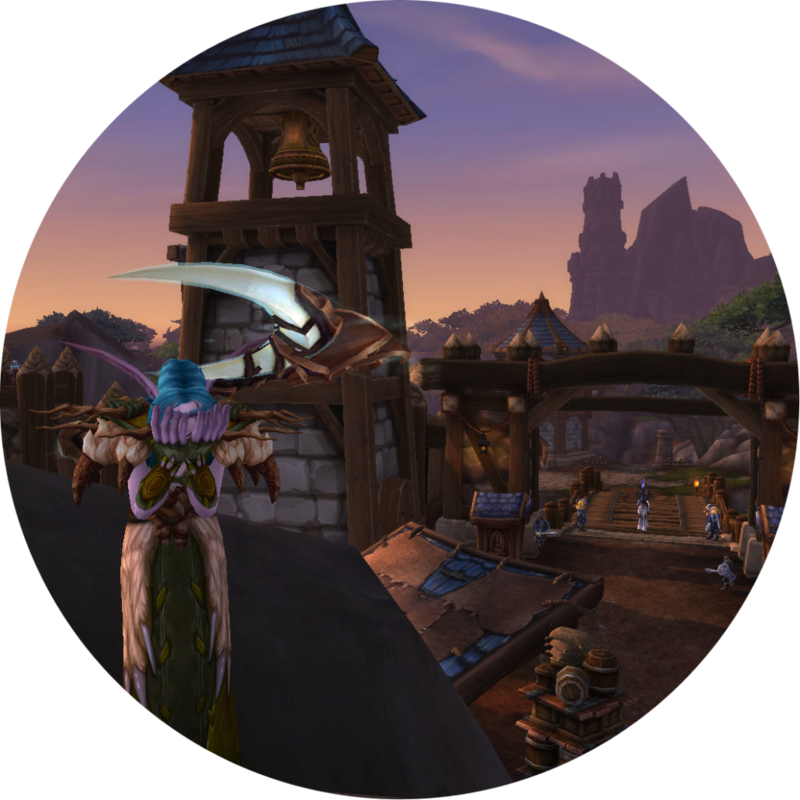 Still War Mode does little to encourage world PvP It only hides PvP away hoping to create enough incentive to entice people in to suffer through it. For real PvP’ers in general it won’t mean anything as they will enjoy the freedom to level in peace faster so they can get to arenas and other organized PvP. As I see it world PvP is and always was something borne of the moment and no matter how hard Blizzard tries they can never engineer world PvP. The system we have now is flawed and it will remain so in Battle for Azeroth. The real issue with world PvP lies in the basic design of a system that is meant to protect those who want nothing to do with PvP. That is the flagging system. The idea of the system is brilliant. A simple switch that when enabled lets you PvP and when disabled protects you from PvP. But where it fails is in its implementation clicking on a flagged player can flag you, causing damage accidentally can flag you, healing an injured player can flag you. All of this happens instantly and leads to far too much accidental flagging and very frustrated players. To make the situation worse once flagged you are stuck there for five min giving campers more than enough time to ruin your day and making it feel like you are stuck for an eternity which makes the experience even more frustrating. So how can it be fixed? The answer for me is simple. Fix the flagging system. Make flagging for PvP a menu option only. Make sure there is no way to accidentally get flagged. If a player enters a PvP area, do not flag them, teleport them away. Make the menu option the only way to flag for PvP in the open world. Now that accidents are prevented how do we protect the PvP’ers from opportunistic gankers. Simply make the flagging process take time. If a player clicks the menu option a 30 second to 1 minute timer starts. When the timer is done you are flagged for PvP. To make it even more fair this timer could be displayed over the flagging players head to indicate their intentions. Next camping needs to be discouraged. We all have gotten into a situation that is overwhelming and there is no point in continuing. The current five-minute timer is far too long and encourages campers whilst discouraging PvP. I feel changing that timer to three minutes would be enough to allow people to get out of bad situations while still being long enough to not make a PvP’er feel like someone isn’t combat logging. There are of course other things that would need to be address like ensuring all PvP objectives and NPC’s are completely safe from PvP’ers so they cannot harass other players who have no interest in PvP. So with this, how do we make engagements fun for PvP’ers and still encourage world PvP. I would suggest creating unique quests, world quests and objectives in and around all the similar PvE content. Make the quests engaging and possibly something the other faction would have a vested interest in defending. Then let the players decide the course of their play. I truly feel hiding PvP away from the general server population is a bad design direction. The system, as far as we know so far, seems to be moving to open world PvP being far too similar to an Ashran shard. I have complete faith that ultimately Blizzard can figure out a way to make things fun for all player but it is very frustrating when they make broad destructive system changes like War Mode that only delay the positive engaging systems they do eventually come up with. I chose to play on Argent Dawn where I can see a more lively open world around me and still have the freedom to interact with it and other players as I choose. In order to PvP in the open world now I have to leave that living place behind and travel to a shady copy it where nothing but grief can thrive! Since originally writing this article War Mode has been released to Beta and we know more about the system. The news honestly has done nothing but strengthen my concerns . The scaling system integrated into War Mode is the only portion that I think works well in a world PvP environment. Sadly there is also buff given to a player, making them stronger every time they beat a player, that completely works against the scaling system. The rest, from my perspective, is still segregatory over-incentivized rubbish. What do you think? Did you like any of the ideas I presented here? Do you have any ideas that you think would be better? 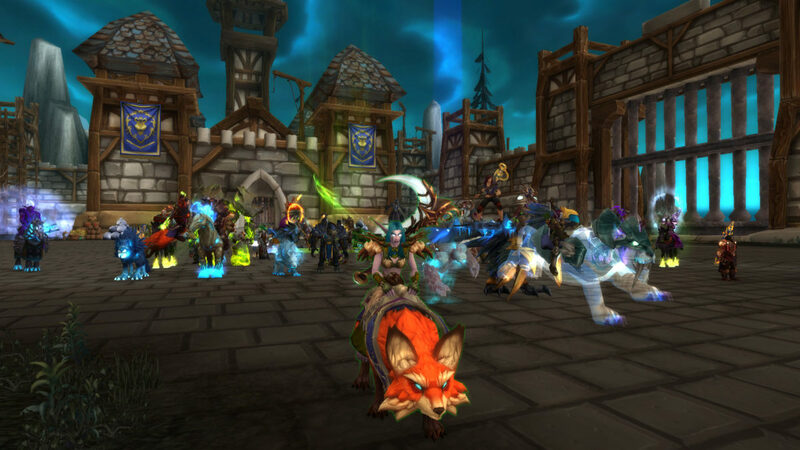 Or are you completely happy with the current direction of PvP in World of Warcraft. I am very interested to hear your views in the comments below! Hey Wilde, thanks for the great explanation. Why is it that most of the time, when they come up with a great idea, they manage to screw it up with poor decisions? Sadly I do have some worse news for you. If you go to War Mode you won’t be on a copy of your own realm instead the system will move you to cross realm shards as the system is designed, from what we know, to fill up shards whilst maintaining faction balance where possible. The only ones that get put in direct copies are RP realms in an attempt to keep them from being over-run by non RP PvP. I haven’t looked much into this new system, so thank you for bringing me up to speed 🙂 I like your ideas. This change seems very odd to me. Is it an attempt to solve low populated PvP servers, perhaps? And does this change show signs of testing out, how WoW will look without servers as we know them, in the future, maybe? A buff given to a player, making them stronger every time they beat a player?! ._. Seriously. “Blizzard is well known for their knee jerk reactions to problems and their overly blunt use of corrective measures.”, you put it so well. Offering increased XP and AP gains seems like a weird way to “encourage” us to engage in World PvP. I do not do it, because the rewards are too few. It’s just not my thing. I want to quest in peace and not have my immersion ruined. I do wonder; What will it do to RP realms? Right now, their open world is “closed off”, right? So those on RP servers just see others from their battleground, to keep RP intact and not sharded? I like that. Will this toggling of PvP just place us on another..shard…thing? I’m still not sure I get the idea of sharding. I think the change is brought on for a number of reason, low populations may be one of them but I am sure it has a lot to do with people that feel ‘stuck’ on a PvP realm as well as the complaints of PvP realm players on the griefing that goes on when trying to do everyday things like world quests and rare hunting. The impact on RP realms will be less as they are fortunate enough to recieve their own shard, as far as I understand it now. This mean they will not be included in the grouping aspect of non RP shards but they will be removed from the general open world to a PVP only shard. As to the toggle. It can only be turned on or off in Stormwind or Orgrimmar. When it is on you will be moved to a PvP only shard when you leave the city where you will only see people with War Mode turned on. You must return to Stormwind or Orgrimmar to disable it. Yeah, you are probably right about that! I guess, just time will tell how it will have an impact. I like that one cannot just toggle on and off on the go.